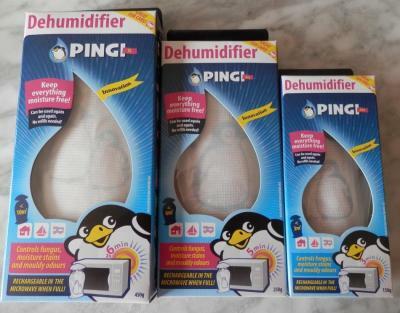 Central Coast Dehumidifiers to combat mould. The Central Coast is a large area north of Sydney where the pace of life is a bit less hectic than in the city. More retirement and holiday pace where we all have a bit more time. Time to also sort out that mouldy wardrobe? Central Coast Dehumidifiers are in great demand when the humidity rises. During the months of December through to March, high humidity is the norm in this part of Australia. Mould can appear in cupboards, wardrobes, bathrooms, bedrooms and other confined spaces. Thousands of residential homes as well as holiday apartments and homes in the Central Coast are affected by excessive mould incubation from time to time. When we talk about dehumidification, what do we mean? The phrase “dehumidify” can be defined as removing moisture (see here (http://dictionary.reference.com/browse/dehumidify) for other definitions). The dehumidification process is described by Khemani (2009)( http://www.brighthubengineering.com/hvac/41505-psychrometric-processes-cooling-heating-and-dehumidification/), as the process where moisture, water vapour, or humidity is taken out of the air, while keeping the temperature constant. We have a solution to moisture and mould problems. Click on the red link for more information. Innovative Central Coast Dehumidifiers are the kind of product that will control moisture in those areas where air circulation and light are limited. Central Coast Dehumidifiers are an ideal solution for your house, boat, caravan or car as they come in 3 sizes to accommodate a range of confined spaces. Pingi Mini 150g is suitable for spice cupboards and chests of drawers. With Pingis there is no accumulated fluid, so they can be placed directly in drawers without any risk of mess. Pingi Bag 250g works best in cupboards. Pingi XL 450g is ideal for bathrooms, cars, caravans or large wardrobes. Go to our Products page to get full details on our range. Central Coast Dehumidifiers are effective, inexpensive and user friendly. They are worth getting as they will last the test of time and keep your beloved possessions fresh and clean. Give musty smelling and mouldy clothes the flick! Can be recharged in a microwave. Use no electricity and require no supervision. Order at our Shop today. Clean water technology compliments indoor air quality. For world class advice and details on water filtration and reverse osmosis products please click on Pacific Water Technology.